Screen rooms are the perfect way to enjoy time outdoors and the delightful breeze without inviting bugs into your home. Eastern Shore Porch & Patio installs high-quality screen rooms in several customizable configurations to our valued customers. All of our screen room products are delivered with the same commitment to quality and customer service as everything else we do, so you will truly enjoy your experience working with our team. Screen rooms are difficult to tackle on your own, and our seasoned team of professionals can easily complete on-site screen room construction and installation. We know how to customize screen rooms to fit your home’s unique exterior and anticipate any potential problems along the way. Whether you would like to install a screen room on your porch or patio, Eastern Shore Porch & Patio has the expertise to give you a wonderful finished product. If you are not sure what outdoor living experience you are looking for, our team can also guide you through your options, which include Eze-Breeze rooms. Our screen systems come with a 3 year blow-out warranty. You’ll be enjoying iced tea in your screen room before you know it! 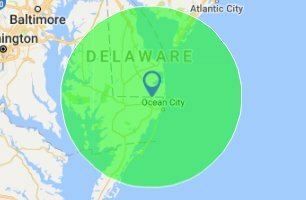 Eastern Shore Porch & Patio is proud to be the premier vinyl fence sales, vinyl fence installation, pergola installation, and screen room installation company for the Bethany Beach, Fenwick, Lewes, and Delmarva areas.